This drink is exactly what the title says it is: it’s a Negroni made with pisco instead of gin. It’s an interesting twist on a deservingly classic drink. Pisco’s distilled from grapes, and it really does have an interesting, musty, grape-skin kind of scent to it. 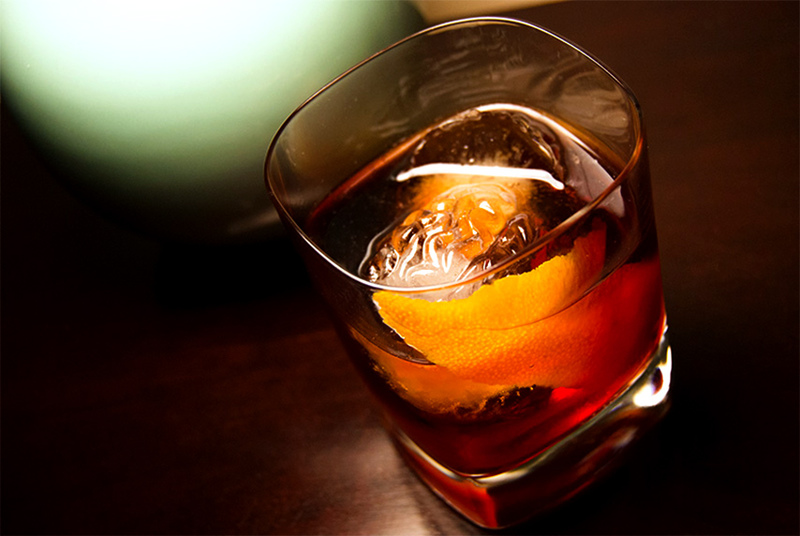 The flavor works well here, mixing with the sweetness of the vermouth and the liqueur. I’m also using Aperol instead of Campari, which I do quite often. The two liqueurs have very similar flavor profiles, but Aperol’s less aggressive. Since Punt e Mes, the vermouth I used on this particular occasion, is relatively bitter, I figure that made sense. Traditionally a Negroni is equal parts of all three ingredients, but I like to go a little bit heavier on the base spirit. Combine all ingredients in a pint glass over ice and stir thoroughly. Strain into an ice-filled rocks glass. Garnish with an orange twist.